Another question…There actually is a white, American born cabdriver in DC? I haven’t seen one of those in 30 years! The joke around DC is you can always tell where there is a war in the world by where the cabdrivers come from. 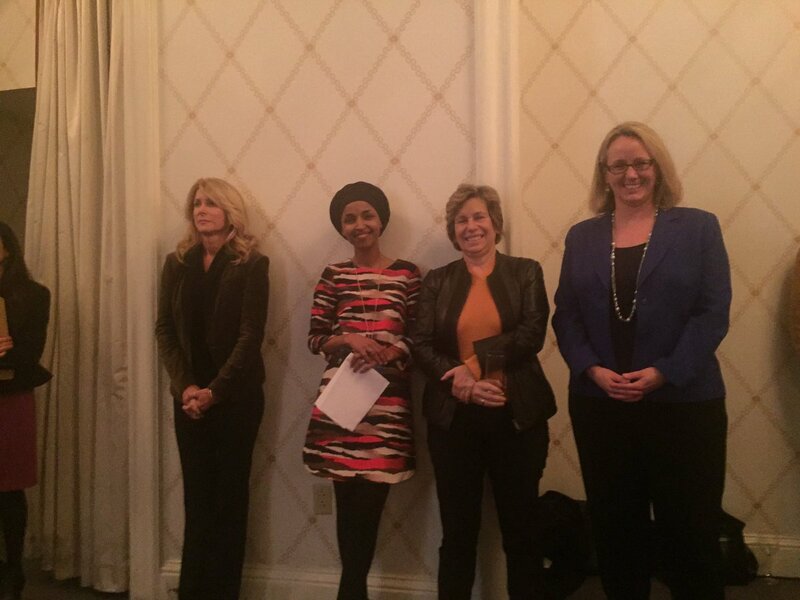 History-Making Somali-American Legislator Reports ‘Hateful’ Taunts In D.C.
For the first Somali-American lawmaker in the U.S., it was meant to be a day to remember: a visit to the White House for policy meetings before she takes office in Minnesota. But as she left the seat of U.S. power, Ilhan Omar says, she was subjected to a hateful and threatening verbal attack in a cab. “I pray for his humanity and for all those who harbor hate in their hearts,” Omar, a Muslim who wears a head scarf, wrote of the cab driver who she says assailed her. In a Facebook post, she says the encounter took place on Tuesday. 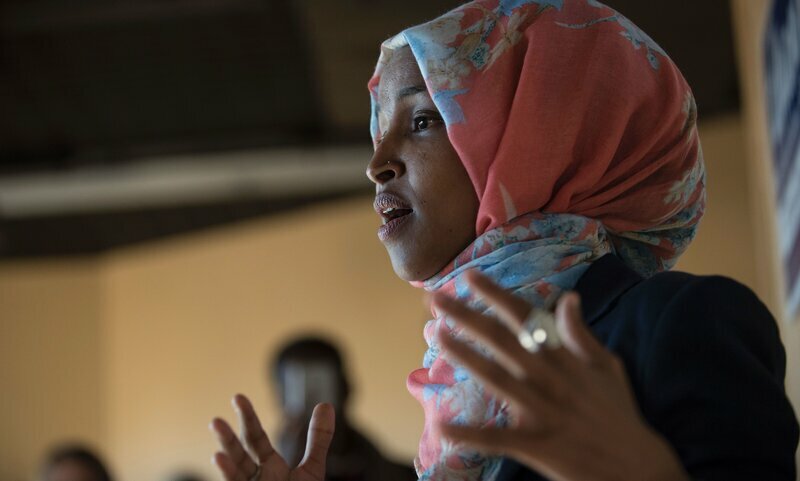 Omar, 34, recounted the abusive encounter in the nation’s capital just one month after she made both history and headlines with her inspiring personal story of a former refugee who won a state House seat in southeast Minneapolis, years after her family fled Somalia’s civil war. This week, Omar has been in Washington, D.C., to attend the State Innovation Exchange conference along with hundreds of other state legislators. She also spoke at the U.S. Institute of Peace on Monday — Arab American Day. One day later, she was at the White House for a discussion about economic issues facing the middle class. Her Facebook post about the incident has drawn thousands of reactions and hundreds of comments from people who expressed their sympathy and solidarity with the mother of three who will be sworn into her new office in January. One of the most popular responses to Omar’s post came from another Minnesotan who had recently visited the nation’s capital. Seems like old times. 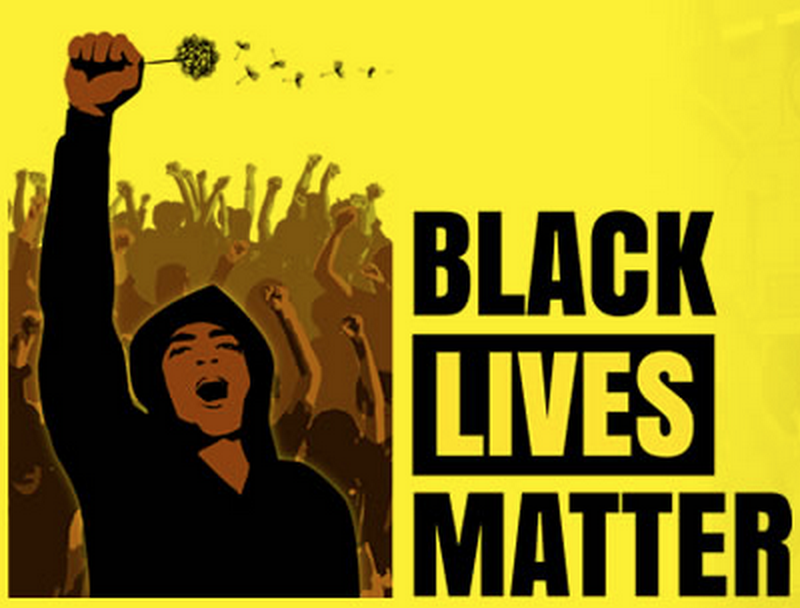 Back in the 60’s threats of violence against black folks during the Civil Rights Movement, and even during the transition to integration were common. My parent’s house took gunfire at one point during a school desegregation effort. Driven by right wing press, political candidates,, and white supremacist authors popular in conservative media and publications – the white right is back into the threat business. No different than the KKK of old. What gets missed here sometimes is that when you look at a picture of these campu marches, there are a lot of white faces participating, marching, and supporting. What that says the the white right has far, far less power than the media gives them credit for, and like terrorists around the world have to depend on violence as a means to affect the body politic. Most, but not all, students returned to a Washington state university Monday as police arrested a 19-year-old accused of making racial threats against black students and others on social media that shut down the campus last week. Western Washington University police in Bellingham arrested the male student on campus and booked him into jail on suspicion of felony malicious harassment. The student has been suspended and banned from campus pending the outcome of legal proceedings and the university’s student conduct process, officials said in a news release. At a public forum Monday about the racist remarks, one student said she had to force herself to come to the school to speak about the threats. Administrators canceled classes last Tuesday, the day before the scheduled Thanksgiving break, after learning about the remarks that included threats of violence against the student body president, who is black. The university is working with Yik Yak, an anonymous social media platform popular among college students, to turn over the names of the commenters, who posted pictures of the student body president, a gun and references to lynching and nooses. Officials said the student arrested Monday has been linked to a threat posted on the social media platform and that university police are continuing to investigate. The long stream of posts mentioned almost every ethnic group, including blacks, Muslims, Jews and American Indians, blaming them for an effort on campus to debate changing the university’s mascot, a Viking. The threats came days after several student leaders suggested that the mascot is racist. Most of the online comments contained racist language and profanity, making fun of the mascot debate and the students who proposed it. One post called black students crying babies and another complimented the school for having an “overtly Aryan” mascot. At the campus forum, university President Bruce Shepard expressed concern for the student leader targeted specifically. He said he expects the people who posted the comments to likely say they were just trying to be funny and didn’t intend to hurt anybody. Conservatism, which is now synonymous with racism…Makes you stupid. The boycott against companies sponsoring political hate speech is gaining traction. Geico has dropped advertising on the Glenn Beck Show. Today, ColorOfChange announced that Geico Insurance is joining them. Other companies which have dropped advertising include – Procter & Gamble, Progressive Insurance, and SC Johnson.